Your way out, Hunt for Easter Eggs, Spot ten Rabbits. STAMP SHEET 6V. Spot the Differences, Color in the Dotted Areas, Trace. We are real easy to work with. and Look for a Stra. 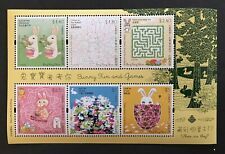 Hungary-1997 Hong Kong Exhibition mini stamp sheet. Year of the Ox stamp. Serial numbers vary. In his well-constructed martial arts fiction, Jin Yong fuses Chinese history with the legendary jianghu, the underworld of martial arts masters, and creates a myriad of unique and distinctive characters. We can make mistakes but for every problem there is a solution. MNH - Mint Never Hinged. PNC - Plate Number Coil. US Stamp Sheets Plate Position. The item consists of. ONLY ONE of the variations as shown in the picture, not all variations. I will send out any one based on availability. HONG KONG - Kiloware - Approx 27 grams. SG Cat Nr / Value: SG 1587-1590. Country: Hong Kong. Condition: FINE USED. Date: 2010. It is impossible for us to detail check every stamp in a Collection, unless it is described by the source as Used, Mint Hinged, Mint Never Hinged(UMM/MNH), etc. The key below should give you an indication of the condition of a Lot. SG Cat Nr / Value: 1453-1457. Country: Hong Kong. Date: 2007. Condition: Fine Used. Date: 2014. Country: Hong Kong. Rest of World - £3. (Small letter up to 100g). Condition: Fine Used. This deal is for a Special Stamp Sheetlet for "Year of the Rooster". Enschedé B.V., the Netherlands. SG Cat Nr / Value: SG 1510-1515. Country: Hong Kong. Date: 2008. Condition: Fine Used. Our only concern is that you are satisfied. CLEAN AND FRESH FRONT AND REAR. SG Cat Nr / Value: 1458-1464. Country: Hong Kong. Date: 2007. Condition: Fine Used. We experience the world with our five senses, which are also essential to learning and communication. This will not only give children a deeper understanding of the different senses, but also enlighten curious young minds. Condition: NHM. SG Cat Nr / Value: 1503-1508. Country: Hong Kong. Date: 2008. There is a Special Stamp Sheetlet of " 2018 Year of the Dog" for sale. Stamp Sheetlet Size. 27 January 2018. Lithography plus hot foil stamping. Date of Issue. 45 mm x 45 mm. Stamp Size. From the 1800's to early 1900's. MNH - Mint Never Hinged. PNC - Plate Number Coil. ONLY ONE of the variations as shown in the picture, not all variations. I will send out any one based on availability. US Stamp Sheets Plate Position. MNH - Mint Never Hinged. Multiple Variation s. ONLY ONE of the variations as shown in the picture, not all variations. I will send out any one based on availability. PNC - Plate Number Coil. US Stamp Sheets Plate Position. There is a Stamp Souvenir Sheetlet for " 2001 Year of the Snake " for sale. Year of the Snake. Just browse and enjoy. I look forward to doing lots of buisiness with you. make Supersized seem small. So if you see a prized item or one that is priced low, you don't have to wait. Jump on it!